Educational technology is often called as edtech. It is nothing but the technology used to help students or learners to understand and learn concepts in an easier way. EdTech is a company that deals with these kinds of products, enabling people all around the world to emerge into one unique idea system. The technological advancements in edtech will enable learners to go deep into the concepts. It will enable them to explore more widely than they could before. Smart boards, touch pens and online group learning have already been with our education system for a while now, and we can see the vast benefits of them in the way the students pay attention to the new ways of teaching. This will help the students pay attention to even the most boring lectures, and to understand topics that are otherwise lengthy or complicated. Teachers nowadays show educational videos to students to help them grasp a concept. This is based on the fact that our eyes can follow easier than our brains. 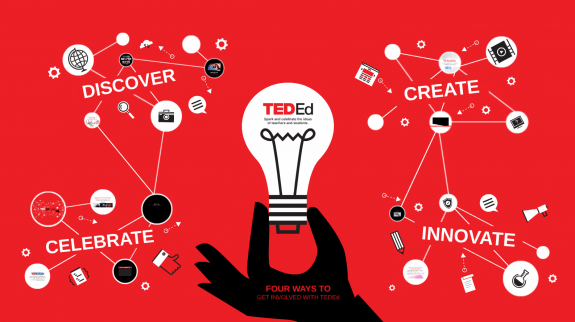 It is an innovative new video platform for educational videos, that is a brainchild of TED. They involve motivational and technological talks on a common platform. It is a growing technological initiative. It is enabling even the unaware masses to learn about the important technologies in the world, how to use them. This teaches them how things are being done in today’s fast-moving world. Such kind of initiative mainly bridges the gap between knowledge and those who seek it. Before, it was difficult to represent oneself on such a widely-spread platform such that our voice reaches the general public. These kinds of technological advancements work towards developing our world technologically. They maintain the gap between tech geniuses and laymen. EduPal is working in the classrooms to make VR products a reality among students and to teach them how the transformations are done. Many robotics labs are developing because of all the technology available in this new era of tech-savvy students. All these help in capturing the essence of the mainstream technology we will work with once we enter a company. So it is better to start before itself and learn/teach everything to know so that we can raise smarter students. Virtual reality is an important concept of today which can change our future forever with the right spark. It is being inducted into students’ syllabus and introduced everywhere to learning individuals so that we can help in its research and to find more breakthroughs in the field of VR. ML is all about dealing with machines, understanding them, programming them and speaking to them in our own language. The term is a machine’s ability to analyze data on its own without being specifically programmed to do so. This is a speedily growing trend today, where everyone wants to make machines do what they want them. There is data analytics, which has other smaller technological advancements under it. It enables us to understand the inside of the machines we create and to interact with them in the best way possible. It let us project our ideas onto them and make the devices do what we want them to. Using ML, we can enable machines to teach students and learn at the same time. This will work as a kind of peer learning, where the machine acts as a peer. Machines are quick learners, but the students or learners would not need to keep up with their pace. This is an innovative method of learning and teaching. Here the students or learners watch educational videos online about the supposed concepts. They are then further helped by their class teachers or course in-charges. This will enable students to understand the concepts on their own, in their own pace and frequency. Later, they can clarify their doubts using the mentors provided. This is a pretty old innovation which has gained a lot of merit among the masses of students and teachers. As this ensures that both their workloads are lesser and easier to handle. The students can directly approach the teachers with their own doubts, instead of waiting for the whole class to catch along. Also, the teachers can pay individual attention to every student this way. This is a fairly new technological advancement. The reference site is maintained by independent writers and has a lot of useful content. The encyclopaedia had formed a huge trend among all the wiki-users and online bloggers. As they can assist other needy people in research work or learning. This advancement is surely just one among a million more to come. But it is the starting of a seed that will enable us to expand our database of information around the world. This will also help our next generations.